Nashville, TN – This week’s game will mark the 47th all-time contest between the Tennessee Titans and the Indianapolis Colts. The Colts lead the series 31-15. Earlier in 2017 (October 16th), the Titans snapped the Colts’ 11-game winning streak in the series with a 36-22 victory at Nissan Stadium. The Titans scored 21 points in the fourth quarter, including a 53-yard touchdown pass from Marcus Mariota to Taywan Taylor that broke a 22-22 tie with less than six minutes remaining in the fourth quarter. Nashville, TN – This week’s game will mark the 45th all-time contest between the Tennessee Titans and the Indianapolis Colts. The Colts lead the series 30-14. The Colts currently own a 10-game winning streak over the Titans, including sweeps in 2012, 2013, 2014 and 2015. The last time the Titans won was October 30th, 2011. 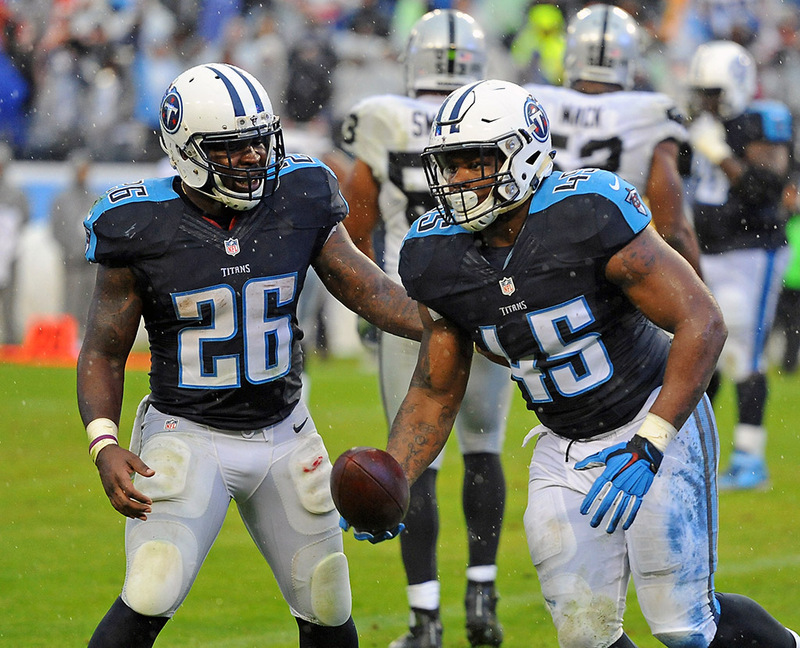 The 10-game losing streak is the Titans’ longest current winless skid against any NFL team. 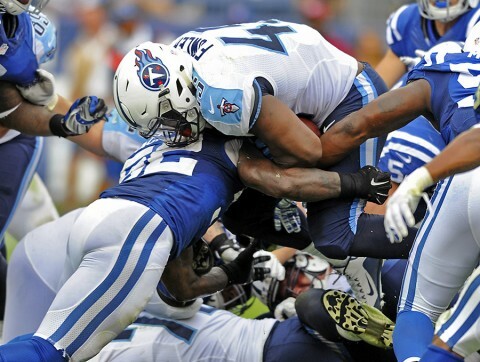 Nashville, TN – This week’s game will mark the 44th all-time contest between the Tennessee Titans and Indianapolis Colts. The Colts lead the series 29-14. 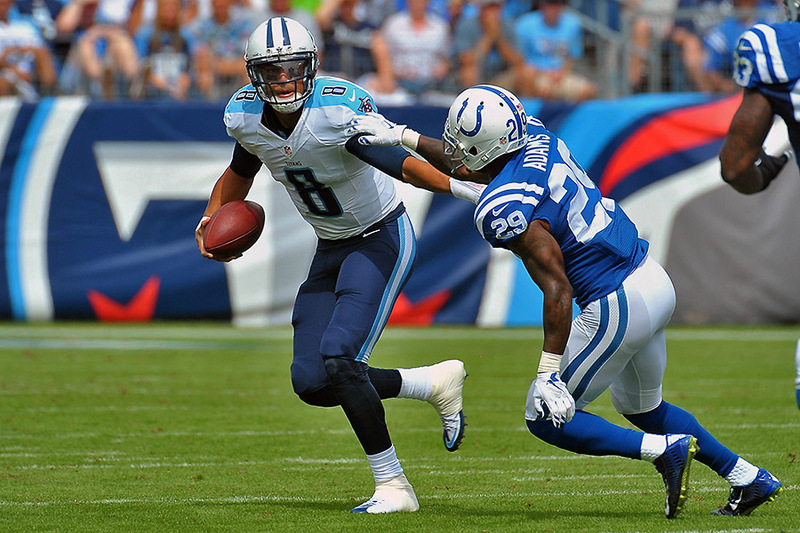 The Colts currently own a nine-game winning streak over the Titans, including sweeps in 2012, 2013, 2014 and 2015. The last time the Titans won was October 30th, 2011. The nine-game losing streak is the Titans’ longest current winless skid against any NFL team. Nashville, TN – Derek Carr passed for 330 yards and three touchdowns, including the game-winner with less than two minutes remaining in the fourth quarter, helping the Oakland Raiders exit a soggy Nissan Stadium with a 24-21 victory over the Tennessee Titans. Carr completed 24 of 37 passes without throwing an interception on a rainy afternoon in which his counterpart, Titans rookie quarterback Marcus Mariota, was victimized by two costly interceptions. Mariota’s second picked off pass came in Oakland territory with 43 seconds on the clock to end the Titans’ hopes of pulling out a dramatic win. Nashville, TN – Derek Carr passed for 330 yards and three touchdowns, including the game-winner with less than two minutes remaining in the fourth quarter, helping the Oakland Raiders exit a soggy Nissan Stadium with a 24-21 victory over the Tennessee Titans on Sunday, November 29th, 2015. 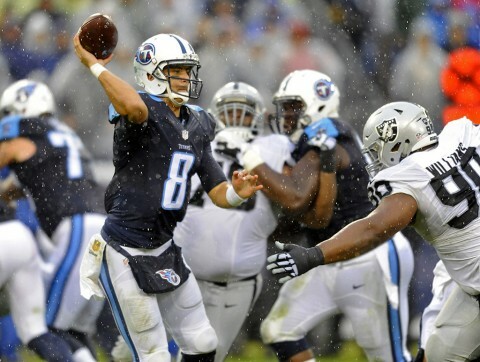 Carr completed 24 of 37 passes without throwing an interception on a rainy afternoon in which his counterpart, Titans rookie quarterback Marcus Mariota, was victimized by two costly interceptions. Mariota’s second pickedoff pass came in Oakland territory with 43 seconds on the clock to end the Titans’ hopes of pulling out a dramatic win. Nashville, TN – The Tennessee Titans (2-9) host the Jacksonville Jaguars (4-7) this week at Nissan Stadium (capacity 69,143). Kickoff is scheduled for noon CST on Sunday, December 6th. The Titans and Jaguars will play for the second time in 18 days. They met in Jacksonville on Thursday night, November 19th, with the Jaguars pulling out a dramatic 19-13 win. 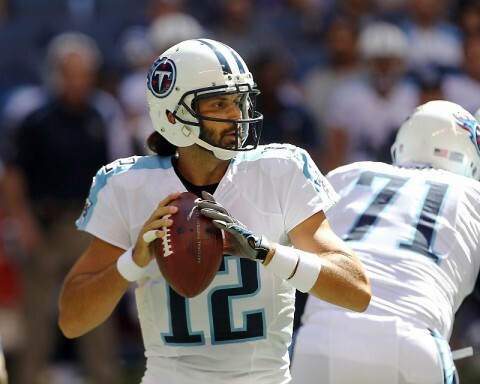 Nashville, TN – The Tennessee Titans (1-2) return from their bye this week to host the Buffalo Bills (2-2). Kickoff at Nissan Stadium (capacity 69,143) is scheduled for noon CDT on Sunday, October 11th. This week’s game will be televised regionally on CBS, including Nashville affiliate WTVF NewsChannel 5. Andrew Catalon will handle play-by-play duties alongside analysts Steve Tasker and Steve Beuerlein. 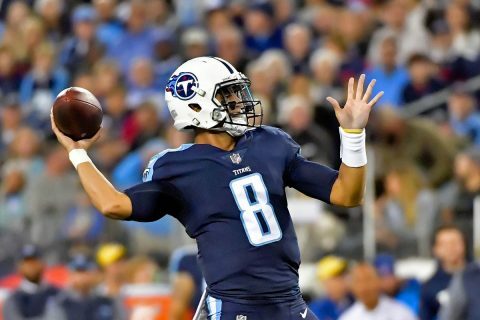 Nashville, TN – The Tennessee Titans headed into the fourth quarter leading the Indianapolis Colts 27-15 at Nissan Stadium. Midway through the fourth, Colts quarterback Andrew Luck threw two touchdown passes in 56 seconds to take the lead 28-27. Indianapolis went on to score another touchdown via a 6 yard run by Frank Gore to put them up 35-27. The Tennessee rallied late and scored on a 1 yard run by fullback Jalston Fowler. The Titans attempted the two-point conversion, by Fowler’s run was stopped. He retreated trying to find somewhere to go but was brought down by the Colts. Indianapolis would go on to beat Tennessee, 35-33.